Airline holding group Comair and lawyers acting on behalf of liquidated carrier Nationwide say they will pursue a claim for civil damages against the South African Airways (SAA) following a ruling by the Competition Tribunal that the incentive scheme the state-owned company offered to travel agents between June 2001 and March 2005 contravened the Competition Act. Business Report newspaper this morning reports Comair joint MD Gidon Novick as saying the group has “done a lot of the preparatory work already and are pushing full steam ahead with our damages claim.” Novick would not disclose the size of the claim, but said “it is very substantial”, the broadsheet added. Yesterday’s ruling on the matter was the latest development in complaints against SAA that had first been brought to the Competition Commission in 2001 by Nationwide. In that case the tribunal found in Nationwide’s favour and fined SAA R45 million. Nationwide then launched the first ever civil action based on a tribunal ruling, but the case was settled out of court. SAA afterwards said it was studying the ruling and could not comment. 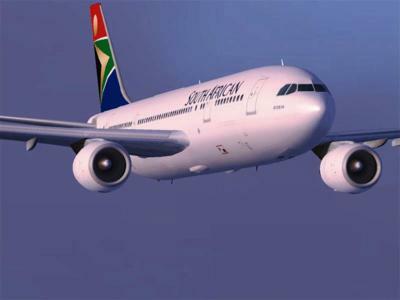 It further emerges from the Tribunal’s 83-page ruling that SAA “board minutes, presentations and other strategic documents” for the period 2002 to 2005 have gone missing. Tribunal member, Yasmine Carrim says the absence of SAA documents meant that it was difficult to determine whether or not there was any justification, on the grounds of increased efficiency, for the incentives SAA provided to travel agents, Business Report adds. “In these proceedings not a single internal strategic SAA document for the relevant period was placed before us,” it quotes her as saying. Louise Zondo, SAA’s chief legal counsel, testified at the tribunal hearing that she had not been directly involved in this matter adding, “for some inexplicable reason all the board minutes, presentations and other documents for the relevant period could not be found”. Carrim noted that Zondo had undertaken to continue the search. “To date those documents have not been located,” said Carrim. “Was the culture in that organisation such that it could expend billions of taxpayers’ rands to finance losses incurred without any approval policies and procedures or proper record maintenance?” Carrim asks. Carrim dismissed Viljoen’s attempts to blame Andrews as “opportunistic”. Andrews was controversially forced to resign from SAA in 2001. Viljoen spent two years at the top before being replaced by Khaya Ngqula in 2003. He was in turn dismissed in March last year. Carrim said it was highly implausible that a multibillion -rand entity, entrusted with taxpayers’ money required to publish its results annually, required to report to a board consisting of highly reputable individuals and accountable to government “did not have such documents at hand or was unable to locate them”, the paper added.